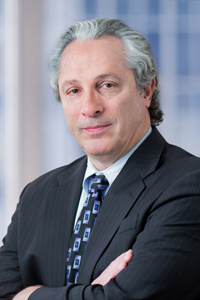 Alan Milstein is a shareholder of the Firm and Chairman of the Firm's Litigation Department. He is nationally recognized as a preeminent litigator, expert, lecturer, and author. Insurance law and fire loss litigation. In these specific areas, Mr. Milstein is more than prominent—he is acknowledged as a pioneer in establishing the rights of research subjects . His cases and arguments have been mentioned in numerous books and articles concerning current topics in healthcare. He was appointed an adjunct professor at the Temple University School of Law teaching Bioethics. Mr. Milstein's expertise on bioethics issues has made him a sought-after television guest. He has appeared on Dateline, Sixty Minutes, 48 Hours, Hannity and Colmes, The Today Show, Sunday Morning, CBS News, NBC News, CNN, BBC’s Science and Nature, ZDF German Public Television, and NHK Japanese Public Television. Mr. Milstein is also a sought-after commentator on issues involving Sports Law. He has appeared on HBO's NFL Week, Cold Pizza, ESPN Sports Center and James Brown's Radio Show. Selected to the New Jersey’s Super Lawyers® List 2005-2015. The Super Lawyers list is issued by Thomson Reuters. A description of the selection methodology can be found at A description of the selection methodology can be found at https://www.superlawyers.com/about/selection_process.html. No aspect of this advertisement has been approved by the Supreme Court of New Jersey. Mr. Milstein has been profiled in the New York Times, Washington Post, The Philadelphia Inquirer, Courier-Post, Newark Star Ledger, The Chronicle of Higher Education, The American Lawyer, The Baltimore Jewish Times, The Legal Intelligencer, New Jersey Super Lawyers and the German magazine Geo Wissen.